At the joint meeting of the Association and the StQW Neighbourhood Forum on June 9th, we looked at images of two proposed new developments on the eastern side of Scrubs Lane. Aurora Developments have now submitted separate planning applications to the Old Oak and Park Royal Development Corporation (OPDC) for what is being badged as ‘North Kensington Gate North’ and ‘North Kensington Gate South’. The sites are in fact in Hammersmith and not in North Kensington but the ‘Kensington’ label is no doubt seen as helping sales of the completed apartments. The consultation page here on the OPDC website is the easiest route for finding your way to the details of the two applications. 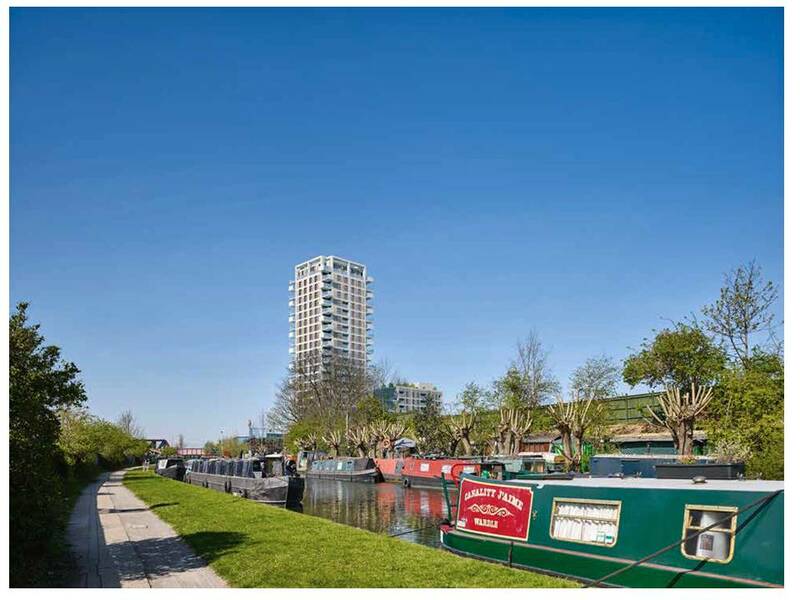 On the southern site closer to the Grand Union Canal, a 22 storey tower is proposed. The developers make much of the fact that earlier proposals were for 25 storeys, and that this height has been reduced in response to public consultation. Both schemes are for residential apartments, with commercial/retail space on the ground floor. The affordable housing elements are 29% (north) and 30% (south), i.e. below the 50% aspiration of Sadiq Khan as London Mayor. Housing densities on both sites are very high, at around 450 housing units per hectare. This is justified on the basis that the while the location currently has very poor public transport accessibility, new rail connections will change this by 2026. This assumes that a Crossrail station, HS2 station at Old Oak Common, and new Overground station at Hythe Road all come into operation by then. 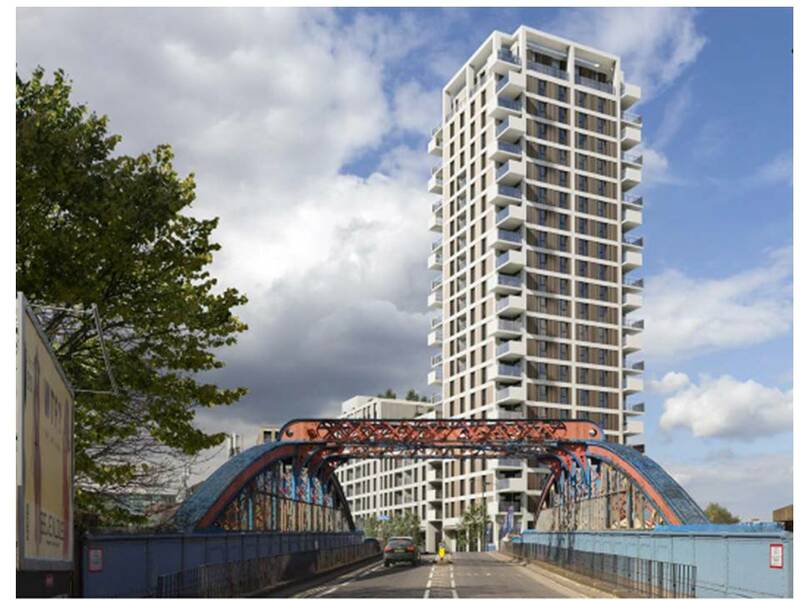 For our neighbourhood, the biggest impact is that this will be the first of what threatens to become a series of tall towers submitted for approval at ‘Old Oak Park’ (the Cargiant site) and along Scrubs Lane. So having lost our western skyline to the forthcoming 35 storey ‘Imperial Folly’, we now look likely to lose the currently unimpaired northern skyline from Little Scrubs. We have to get used to the fact that ‘Old Oak’ (i.e. 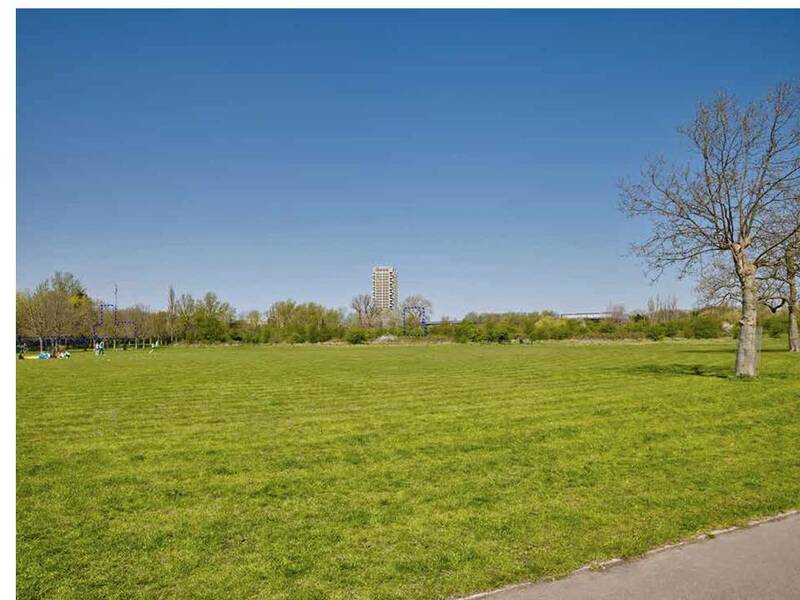 the area to the north of Wormwood Scrubs) is destined for 24,500 new homes and many more residential towers. But it is depressing that this first major application in Scrubs Lane looks as though it is being ushered through the planning system by a Development Corporation very keen to see some early ‘catalysts’ rise from the ground – even when these planning applications conflict with the Corporation’s own emerging planning policies. Scrubs Lane is defined as a ‘sensitive edge’ in the OPDC Draft Local Plan, given its proximity to the St Marys Cemetery Conservation Area and the Grand Union Canal. A new Conservation Area (Cumberland Park) is due to be designated, protecting the Victorian factory buildings on the east side of Scrubs Lane. But it seems to be OK to place a 22 storey tower in the midst of these. Below is the future view from the Grand Union Canal, as shown in the planning application. The architects for both the northern and southern sites at North Kensington Gate are Allies and Morrison, a well-known and respected London firm. We have asked the developer why the two buildings are so different. The Planning Statement for the southern tower describes it as ‘elegant’. This is not the adjective that the audience came up with when we showed an image of the building at our June 9th open meeting at St Helens Church Hall. In London, there is a growing disconnect between what developers, planners and architects see as a good scheme, and the views of the London public. This has become clear in opposition to the original design for the ‘Paddington Pole’ and on other major developments. What has been built in Vauxhall and Battersea is causing growing public concern, with the prospect of residential towers standing there but now failing to sell to their intended offshore market. A spread of ‘Nine Elms Disease’ to north-west London looks likely to be resisted fiercely over the coming months and years. 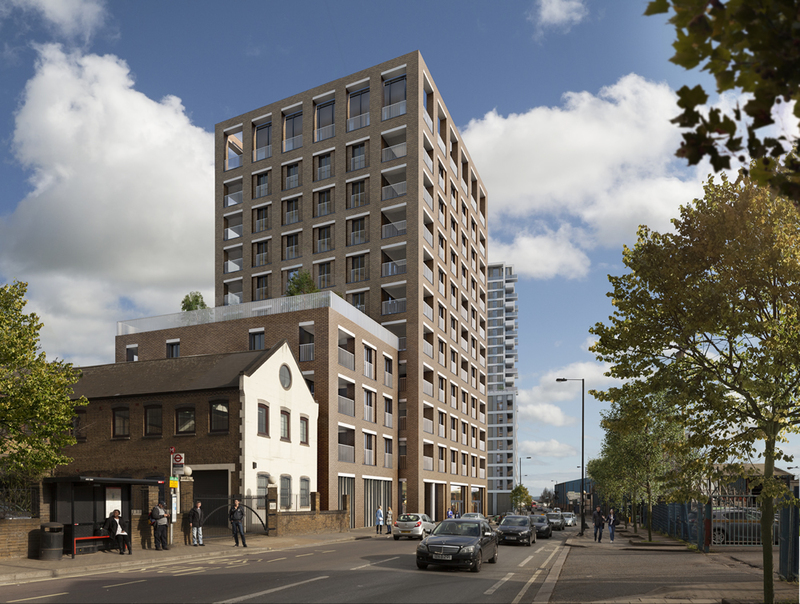 St Helens Residents Association will submit objections to the planning application for the southern tower, on grounds of non-compliance with the London Plan and the Local Plans of both LBHF and the OPDC (the latter of which will overtake the former by 2018). Comments can be sent in to planningapplications@opdc.london.gov.uk. The OPDC has arranged a session involving the developers Aurora, OPDC planning officers, and members of the public on October 19th at the Co-Club, 140 Wales Farm Road, North Acton, W3 6UG between 6.30pm – 8.00pm. This is a less than ideal location for those who will be most affected by the development, but I will be there to try and make our voice heard.